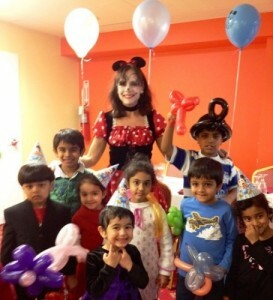 The lovable Miss Mouse party character is always a welcome addition to any special event where children are celebrating birthdays, anniversaries, baptisms, festivals and more. She enjoys engaging kids with all kinds of interactive fun activities, including a magic comedy show which is always a hit. She also loves amusing the guests with music, dancing and singing. Her lively character is guaranteed to entertain youngsters of all ages and add enjoyment to every festivity. 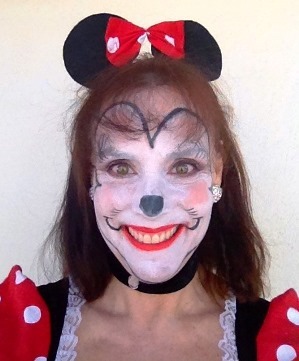 Miss Mouse’s costume character is fashioned from the famous Disney star, Minnie Mouse. They sport a similar amusing and flirty red mini dress with white dots and black appliqués and trims. 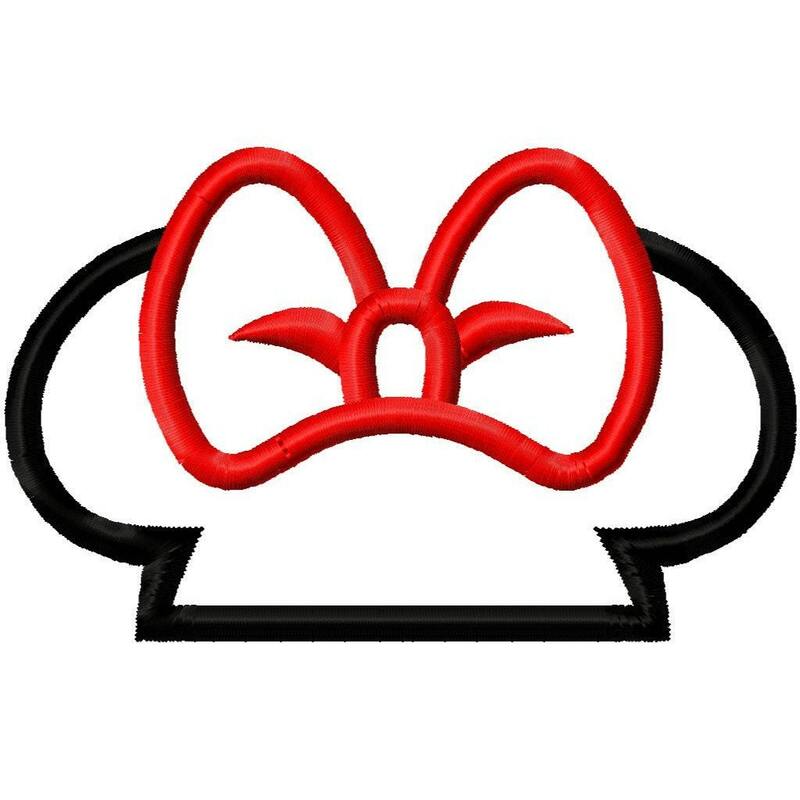 Miss Mouse has mouse ears and a large red and white bow on her head. While Mickey Mouse’s girlfriend is known for her wit, sassiness and temper, Miss Mouse is all animation and fun. Her face is painted as the jolly mouse that she is. With the fanciful costume and cheery character, it’s no wonder why children love her. I always enjoy going to parties as Miss Mouse because everyone enjoys her character. From the moment Miss Mouse enters the party young boys and young girls flock to her, anticipating her magic tricks and goodies in store. Children are always curious about what Miss Mouse will do next. Aside from enjoying the activities, kids love to interact with the character. They often ask me questions. Girls sometimes want to know where I bought my pretty bow, while boys often ask about Mickey Mouse. I always appreciate these conversations because I get real interaction with my audience. By the time the magic comedy show starts, the children and Miss Mouse are already friends. That makes my show more entertaining for my new little friends. Having such an appreciative audience makes my performance extra fun for me too. It is also enjoyable posing for souvenir pictures with the children and families. 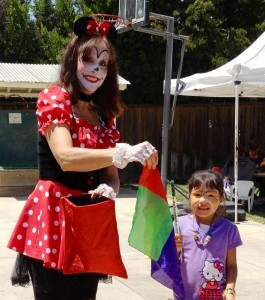 But my favorite part is when the children and/or parents approach me and ask for Miss Mouse to entertain at their party too! A Mouse Birthday Cake is a must! Decoration Ideas for your Miss Mouse Party! 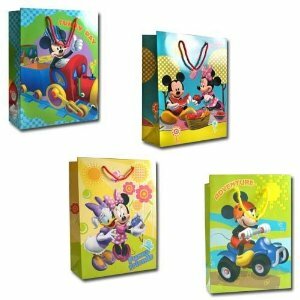 Goodie Bag Ideas for your Miss Mouse Party! I always think that the Miss Mouse persona is one of the best party characters for children. You can always notice a palpable change in the party mood when her charm goes into play. You might credit that to Minnie’s and Disney’s popularity, as Miss Mouse benefits from the fame and gets instant recognition. It is easy to combine Miss Mouse’s character with any of your already chosen activities for the gathering. She can work well with clowns and do some clowning herself! She can also perform in magical shows as she is a master magician that will keep the audience attention and excitement. She’s a good director in any party game and can expertly lead kids to some balloon twisting activities. Face painting? She’s skilled with that too. Ask her about the temporary glitter tattoos as kids of all ages and even adults enjoy going home with a little tattoo in memory of the party. Kids will forever be talking of how Miss Mouse painted their faces, made their favorite balloon animal or gave them a sparkly tattoo that stayed on for days after the festivity was over. Children are surely entertained with all that Miss Mouse has to offer. My Miss Mouse party character has truly enjoyed every event attended. You can also tell me what activity you prefer for your special celebration. And if it is your child’s birthday, please let me know what activities you like best for his or her party entertainment. Miss Mouse will surely be happy to honor your request and help you with planning your celebration.